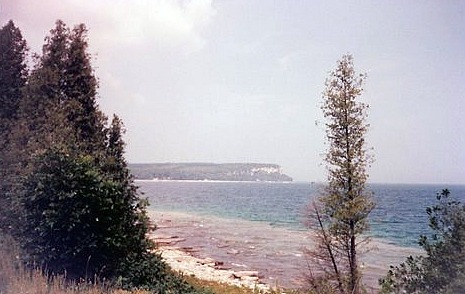 Dyers Bay is found between Lions Head and Tobermory on the Georgian Bay side of the Bruce Peninsula. 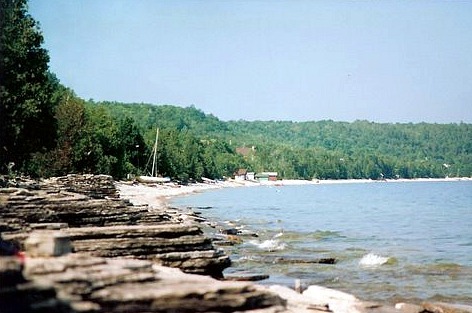 This area is a bit remote but you will find a few cottages and beautiful flat rock shorelines. 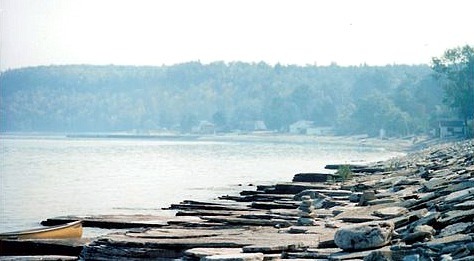 But every summer when my children were tweenagers we spent at least one hot August day sunning and swimming in the cold Georgian Bay waters here at Dyers. While we were used to the white sand beaches of Southampton we always spent time sunning ourselves on the warmed flat rocks looking for snakes and cooling off in the deep Georgian Bay waters. It was usually the culmination of a long late summer road trip; we would spend late afternoon on our alternative rock beach and then have dinner at the original Rocky Raccoon Cafe. Rocky Raccoon's is no longer in Dyers, the current owners have moved it to the bustling hub of Owen Sound. But we remember when the wine was served in tea pots and the food was to die for. There isn't exactly a public beach area but once you hit the water we turned left along the shoreline and found a place to park near an opening to the lake. You always had to watch out for poison ivy, but generally we were the only ones as far as the eye could see. Return HOME from Dyers Bay.